From bath and beauty products to toys and gifts that loved ones will adore well after a vacation is over, the Bear Essentials offers a generous helping of All Things New Bern. Featuring a striking collection of goodies that will entice any area explorer, this charming little shop is a popular and favorite destination during a self-guided shopping expedition in the historic center of this Inner Banks community. 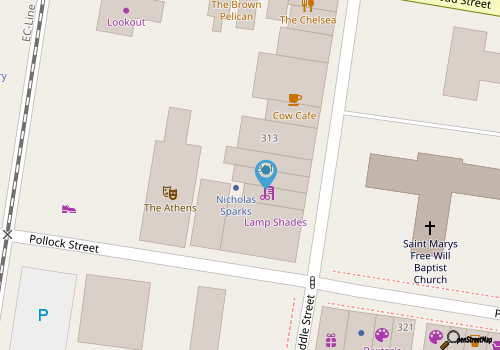 Bear Essentials is situated in the heart of the downtown area, and is housed within one of New Bern’s famous brick buildings that are dotted throughout the historic district. The inside is just as fascinating as the neighborhood where the shop resides, and visitors can expect to find a wealth of unique treasures and goodies that can’t be found anywhere else. Bear Essentials specializes in life’s little essentials such as gifts, jewelry, pottery, toys, clothing, and a number of organic and natural skin care products, and the store also features a number of homegrown lines from New Bern and North Carolina artisans. With so much to explore, and a beautiful interior that will make shoppers feel right at home, Bear Essentials is a sweet little local landmark that is always worthy of exploration. Call 252-637-6663 for current hours.